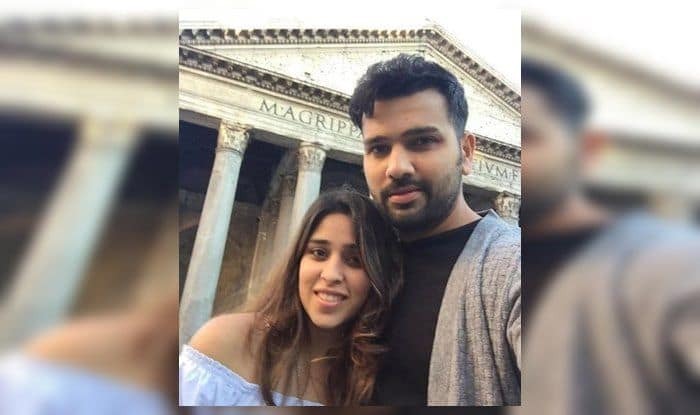 India vs Australia 1st Test: Seems like Rohit Sharma is really missing his better half Ritika Sajdeh in Australia, where the Indian team is for the upcoming four-match Test series. India vs Australia 1st Test: Seems like Rohit Sharma is really missing his better half Ritika Sajdeh in Australia, where the Indian team is for the upcoming four-match Test series. The cricketer revealed it in his latest Instagram post where he shared a picture of him along with Ritika. Rohit took to Instagram and his post was captioned, “Missing my other half”. Meanwhile, Rohit Sharma did not have a good run in the recently concluded 3T20I series but got a 40 in the tour game. Now that Prithvi Shaw has been declared unavailable for the Adelaide Test as he picked up an injury, Rohit Sharma stands a good chance of making a cut in the XI as an opener. Ritika, who also happens to be Rohit’s manager, often travels with her husband and is also a big fan of him. She has often been seen in the stands rooting for her husband. With BCCI’s new rule on WAGS in place, it allows wives and girlfriends to be with the cricketers only for 14 days in the 45-day tour. Fans would be hoping they get to see Ritika in Australia soon. Not so long ago, during the fifth and final ODI against Windies on Thursday, Rohit once again put on a display of his masterclass as he played a blazing knock of unbeaten 63 off 56 balls to propel the hosts to an easy victory. He hammered five boundaries and four huge maximums during his entertaining innings. The Mumbai batsman also smashed a few records during the way as he becomes the fastest to hit 200 ODI sixes in the limited-overs cricket.